Cardiff City. Pin our picks! Heading to Cardiff for the Rugby World Cup? Bookmark these tickets to eat, drink and be merry in the Welsh capital! Ireland play Canada (September 19) and France (October 11) in Pool D games in the Millennium Stadium, with possible Quarter Finals on October 17/18. 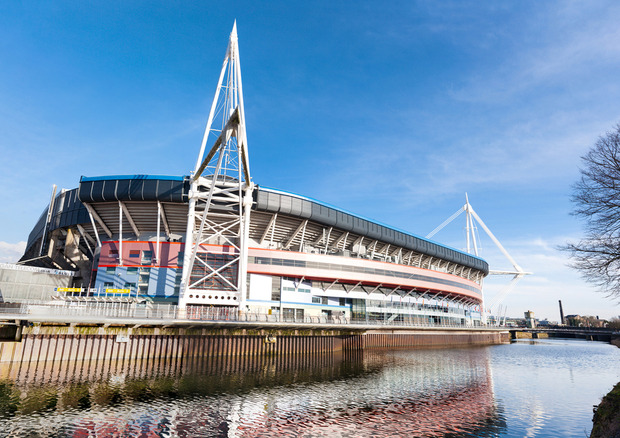 The Welsh are rugby-mad, and the atmosphere in Cardiff will be electric - thanks to great pubs, boisterous supporters, a rejuvenated docklands and yes, a stonking great cauldron of a stadium bang in the middle of it all. We've teamed up with Visit Britain to bring you the complete rugby supporters' notes - pop your picks into Google Maps and off you go! Hook me up with some bars! The Brewery Quarter and the Cafe Quarter, at the far end of High Street, are two good starting points. Both link into each other and are teeming with bars, cafes and restaurants. It's an easy win. Classic classic rugby pubs such as The City Arms (thecityarmscardiff.com) on Quay Street and The Goat Major (sabrain.com/goatmajor) on St Mary Street. Both are within a few hundred metres of the stadium and you'll get a decent pint of Brains (don't worry - that's just the local beer). Gwdihw (gwdihw.co.uk) is a quirky little bar, with tea in the daytime and cocktails and music at night – food and drink is cheap, and the atmosphere is cheerful. Cocktails are great at Ten Mill Lane (tenmilllane.com), and 10 feet tall (10feettall.co.uk) is another lively place for interesting drinks, over three floors. Newer bars like Brewdog and Zero Degrees on Westgate Street attract a younger clientele and sell a pricier pint of designer ale. Still, they are generally a little less crowded and are cheaper than most Dublin pubs. For big screen options, try O'Neills (oneills.co.uk) opposite the stadium or Walkabout (walkabout.co.uk) around the corner on St Mary Street, but you'll likely need to queue at the door. If you can get into Cardiff Rugby Club for a drink, you're practically already in the stadium. In-the-know fans arrive there early and settle back for the day, but the upstairs bar does eventually get packed. Another local trick is to head just a bit further out of town, and still get to the match at a 15-minute trot. Cathedral Road is where Cardiff's Welsh-speaking set like to hang out: try Y Mochyn Ddu (mochyndu.com; The Black Pig - but nobody calls it that) or Y Cayo (named after a Welsh patriot) for a decent pint of local beer. Craft beer fan? Check out the Urban Tap House (urbantaphouse.co.uk), the Bunkhouse (bunkhousecardiff.co.uk), The Gravity Station (thegravitystation.com) and the beer selection at Chapter. About 20 minutes' walk from the bottom of High Street brings you to the recently redeveloped Mermaid Quay - also full of bars and restaurants, all with great views overlooking the bay and the spaceship-like Wales Millennium Centre building, an arts centre which houses the Welsh National Opera and Ballet. Where can I find the Fanzones? Official Rugby World Cup 2015 Fanzones give fans an opportunity to soak up the atmosphere - they're free to enter, are open on match days (and various other days), and in Cardiff take place at the legendary Cardiff Arms. Open on 11 separate occasions (including the Opening Ceremony) during the tournament for more than 8,000 fans in total – 2,500 of those in covered seating – the Park will combine big-screen games, food, festivities and, outside of match days, grassroots rugby initiatives. Where else can I watch the match? When rugby’s on, you can guarantee Cardiff’s famous Old Arcade (sabrain.com/oldarcade) – located near the indoor Victorian market – will be packed to the rafters. Occupying a former theatre near the stadium is fellow pub The Prince of Wales (jdwetherspoon.co.uk) where a 20ft screen shows live games. Where can I grab something to eat? The Potted Pig (thepottedpig.com) on St Mary Street is one of the best restaurants in town, with its delicious British menu – with a few French and New York-grill inspired influences – all in an atmospheric former bank vault. The gin selection is fantastic, so don't be shy in that regard. For a quicker bite, all the staple restaurant chains are close by, including a strip in the impressively redeveloped St David's Shopping Centre that offers informal dining like Jamie's Italian and the ultra-good value Mexican restaurant chain Wahaca. 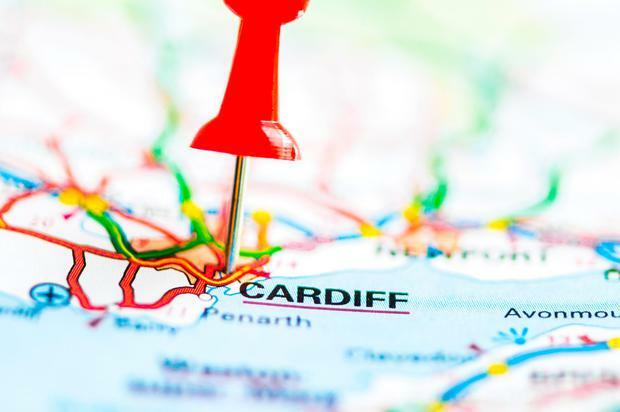 The best cheap and cheerful options are around the student areas of Roath and Cathays, neighbourhoods in the north of the city. Milgi (milgilounge.com) is always fun, a 100% vegetarian restaurant with great cocktails and art from local talents to enjoy. There’s also a yurt in the garden. Pontcanna is an upmarket part of town with leafy streets and lots of great eating spots. Arbennig (arbenning.co.uk) is a family run favourite, that serves up fine dining ‘without the fuss’, while meateaters will love the hearty burgers and brisket at American-style diner Smoke House (facebook.com/smokehousewales). Fish at 85 (fishat85.co.uk) is a special spot, with fantastic – you guessed it – fish and seafood, simply prepared to let the freshness of the produce do the talking. And Stefano’s (stefanos.co.uk) is a convivial Italian, ideal for a lively dinner with friends who enjoy good food and wine. With a wealth of Indian restaurants in Cardiff, competition is fierce and standards are very high – so you’re in for a treat, if curry is your favourite dish. Some of the best are Mowglis, the Purple Poppadom, Moksh, The Balti Cuisine, Baburchi, Spice Berry and – if you like Thai curries – Thai House. New in town and worth checking out are several burger joints: Bagel and Burger (bagelandburger.co.uk) for bagels, burgers and milkshakes with a gourmet edge, and The Grazing Shed (thegrazingshed.com) for ‘super tidy burgers’ (listen out for the adjective ‘tidy’ in Cardiff!). No international day is really complete without a late-night trip to Chippy Alley. Officially called Caroline Street, this huddle of kebab shops and chippers has a plate of grease with your name on it come chucking-out time in the pubs. Can I tour the Millennium Stadium? Tours of the 74,500-capacity behemoth are available, and include the chance to lift trophies in the Royal Box, although check millenniumstadium.com/tours for more details during the World Cup. "Our very well-informed guide led us through the international players' entrance, past the honours boards along the inner corridors. Our first stop was the Press Room, a good place to have your photo taken in the seat usually occupied by Wales and Lions' coach Warren Gatland. Next stop was the home team dressing-room where the same Mr Gatland likes to regale the team with his inspiring pre-match and half time homilies. "Here, we heard an example of a coach's speech which included the advice "don't throw the first punch, but make sure you throw the last" - all's fair in love and rugby, I suppose. "The North dressing room, home to visiting rugby teams is slightly smaller than the home team's room and left deliberately sparse so that the visitors can decorate it as they wish. Next, it was on to the pitch through the player's tunnel with the roar of 74,500 fans ringing in our ears (well, a recording anyway.) You can get a real sense of what it must be like for the players on match days. "The pitch itself is partially artificial, and the grass growth is controlled by a sophisticated computerised light system. The huge roof (it weighs 400 tons on each side) takes around 20 minutes to close and apparently it is the visiting team captain who makes the decision as to whether it remains open or not - however he has to decide the day before the match is played. "Next, it was on to the really interesting bits - the corporate suites and the President's Box where the super-VIPs and members of the British Royal family sit to watch matches, probably the only time I'm ever likely to see the inside of such places! The complete tour took around one and a half hours and costs around €15 for an adult and €10 for under 16s. I'd highly recommend it, even if you are not a rugby fan." Got any useful phrases in Welsh? * Iechyd Da... Commonly mispronounced 'Yucky Dah', it's more like 'Yeah-Kid Dah' and means the same as 'Sláinte'. * Ti'n bert... If you're not into chat-up lines, then a simple 'You're pretty' might do the trick. Pronounce it 'Teen Beart'. May not work quite so well on men. * Cwtch... Pronounced 'Cootsh', this is universal Welsh slang for a big hug. You can cwtch a beautiful woman, or your best friend, or even your mam. If that doesn't sound too weird. * Peint o Cwrw... 'Paint oh Koo-roo'. A pint of beer, what else? 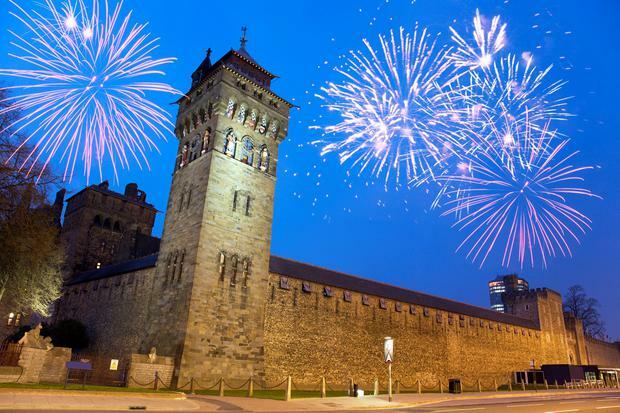 Two ‘Spectacular’ events are being planned in Wales’s capital. First, a two-metre-high Webb Ellis Trophy will be displayed in Cardiff city centre throughout the tournament. And, if you see a giant rugby ball smashing through buildings in the first week of September, don’t worry; it’s just an art installation. Fans of the programme Doctor Who – amusingly dubbed ‘Whovians’ – must not miss the Doctor Who Experience (doctorwho.tv), where you accompany the man himself, played by Peter Capaldi, on an adventure, and can see how the Doctor, his sidekicks and various monsters have evolved over the years. When filming isn’t happening, you can even take a peek inside the actual Tardis! Wales will celebrate its Year of Adventure in 2016, so if you’re in the mood for something exhilarating, try a Cardiff Sea Safari (cardiffseasafaris.co.uk), and zip round the bay on a RIB (Rigid Inflatable Boat). There’s also white water rafting at the Cardiff International White Water (ciww.com). 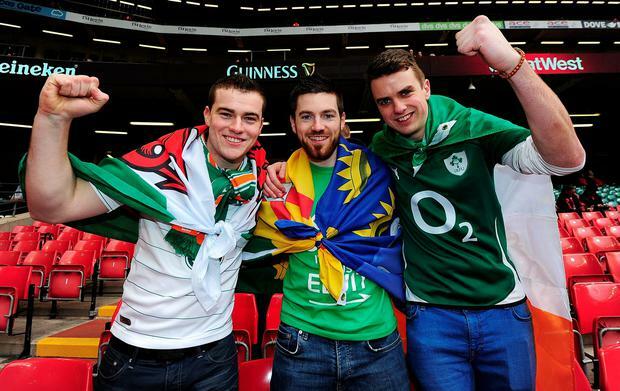 Contributors: Gareth Morgan, Pól Ó Conghaile, Willy Brennan, Visit England. See also visitbritain.com, visitcardiff.com and rugbyworldcup.com.